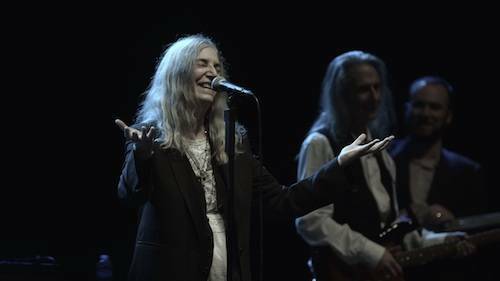 On Saturday night, Patti Smith performed, with Caroline Jones opening, as part of a benefit concert for the American Folk Art Museum. An aerial performance by Cirque-tacular Entertainment and dancing were all part of the glamorous evening. Guests in attendance included Betsey Johnson, Jeff Koons, Ruben and Isabel Toledo, Ryan McGinley, Moises de la Renta, Leigh Keno, Steven Sebring (director of Patti Smith: Dream of Life), Glenda Bailey, Wendy Diamond, Society photographer Patrick McMullan, society bloggers Courtney Henley-Anderson (aka That Girl at the Party) and Micah Jesse, Ulla Van Zeller, Sam Baron (Fabrica Designer) and Petra Levin (former Miss Germany). The benefit’s chairmen were: Lawrence B. Benenson, Peyton Cochran, Petra and Stephen Levin, and Ian Tobin. The Benefit Vice-Chairs included: Melinda Anderson, Barry D. Briskin, Joan Juliet Buck, Ken Copeland, Randall Fenlon, Henry Grimball, Alex Hahn, Michel Heredia, Elizabeth E. Jacoby, Luise and Robert Kleinberg, Taryn and Mark Leavitt, Jessica London, Frances S. Martinson, Gillian McCain, Angela and Selig Sacks, Amanda Salvaggio, Amanda Smeal, Sarah Sperling, Samantha Thompson, Michael Trese, Wayne Verspoor, and Jason Whalen. Event production was provided by JKS Events. Art In America and Fabrica generously sponsored the event. 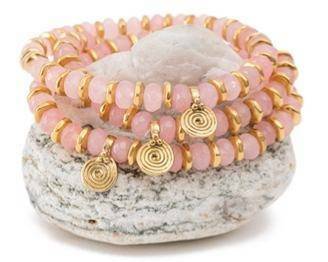 The Accessories Council #ACTOPPICKS for Valentine’s Day 2015!